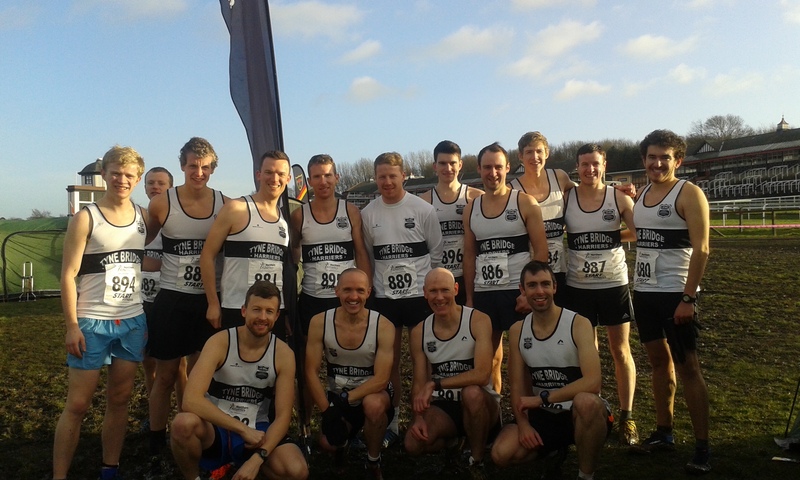 Well done to everyone who competed in this year’s Northern Cross Country Championships (held at Pontefract race course – Saturday, 24th January). With Louise Rodgers supplying a constant flow of sweets, it’s little wonder we arrived in Pontefract in fairly high spirits. Sadly, they weren’t to last long. From the ‘comfort’ of the mini-bus, it looked like a great day for racing. Pontefract was bathed in sunshine and the ground looked bone-dry. Disembarking the mini-bus however, we were hit by a bitterly cold wind. And the mood sank even further when we noticed runners (and spectators) plastered in mud as they made their way back to their parked vehicle. What were we letting ourselves in for? After a 30 minute bus ride on the park-and-ride service, we eventually arrived at the race-course – approximately one mile away. (We took the sensible, and far quicker, option of walking back to our mini-bus after the race). Entering the race-course, the first thing we noticed was the mud. Lots and lots of mud. Everyone was caked in the stuff. And in order to reach the area set aside for club tents, we had the challenge of ploughing through a 200 metre stretch of ankle deep mud. So, less than 5 minutes after arriving, I was cold, dirty and hadn’t even un-packed. Oh the joys of cross-country. 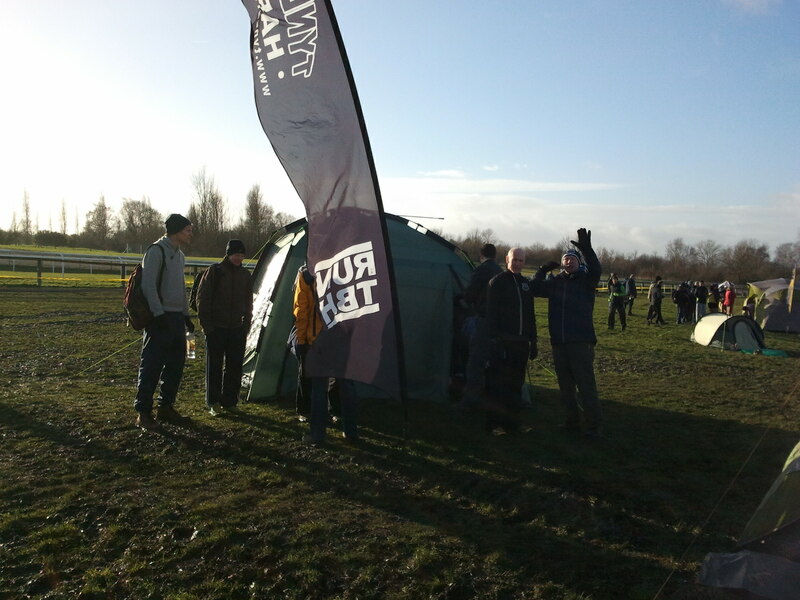 Under the guidance of David Moir, the tent was quickly erected and we could finally prepare for some racing. 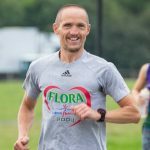 Freddie Baker, who had travelled with his Dad Micky earlier in the day, was already on the course and would eventually finish in 68th position in the U20 Men’s race. In a tightly packed programme, there was little time between races, and as the U20M race came to a conclusion, the Senior Ladies race was about to get under way. Sadly, several withdrawals meant Alison Dargie and Louise Rodgers were the sole representatives for the TBH Ladies. But what the club lacked in quantity it certainly made up for it in quality. 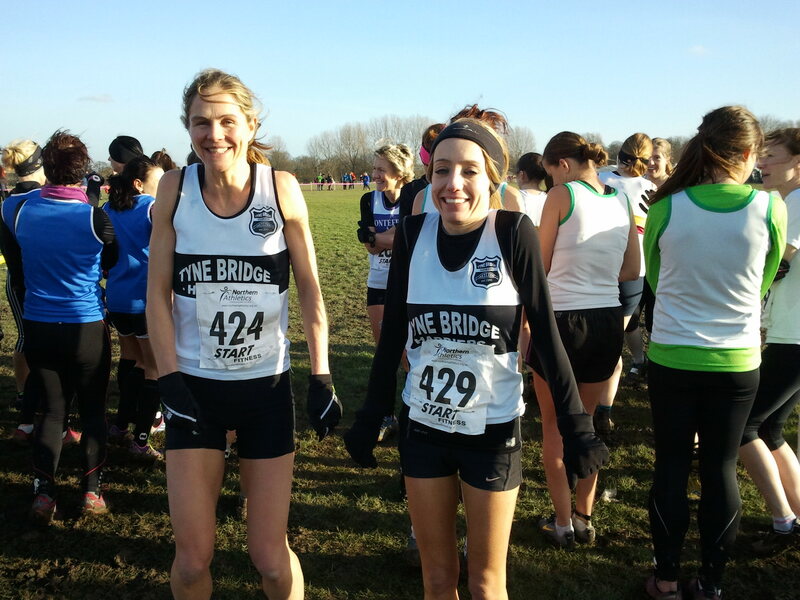 Alison had an excellent race, finishing in 26th position, and Louise – a bundle of nerves pre-race – showed her true talent by finishing in 79th position. It’s never easy competing in club races when you’re part of an incomplete team but they both showed great character by giving it 100%. As often the case, I’d just about got used to my cold, wet feet when it was time to strip off and assemble for the Senior Men’s race. After the traditional team photograph we were off to the starting pens, where every club was instructed to line up in single file. A blast of the whistle and we were off. Chris Huitson missed the memo about wearing his running vest!! Hoping to get some shelter against the elements, I settled in the middle of pack, but all thoughts of an easy run quickly vanished at the first corner, as runners slipped and slid in thick gooey mud. Even though I’d ran around the racecourse whilst watching the ladies race, it still came as a shock how muddy the actual course was. You’d run (or rather plodge) through a muddy section then hit firm ground. But a short distance on you’d encounter another muddy segment, invariably longer and muddier than the previous one. This continued for the entire lap. After 3 gruelling laps, including a brief walking spell in the 2nd lap, I stumbled over the finishing line, relieved to have lasted the distance. Those members who’d already finished had made their way back to the tent and I quickly followed suit. If congratulations were to be offered, they’d be done in the warmth (ha!) of the tent. Taking almost as long as the race itself, we spent the next 20 minutes removing dirty kit and attempting to put on dry/clean clothes without falling over or stepping in a filthy puddle. All except James (Dunce) of course, who sat serenely on his bucket!! I’ve a feeling there may be several buckets making their way to next month’s Nationals. With everyone dressed it was time for the final, and possibly, hardest task of the day. Packing away the club tent!! A short time later we were back on the mini-bus and on our way home. The cans were out, chocolates were passed around (thanks Louise) and another satisfying day for TBH had passed. The men finished a creditable 15th position.